The "1245" is being used for guidance systems in harsh environments because of the stringent performance and reliability requirements. The heavy-duty chassis, occupying only 7.0" (4U) by 14.0" depth, has rounded metal corners and rugged handles front and rear, aiding in safe handling. Internally, all major components are well secured and electrically insulated to prevent damage due to shock and vibration. This system is designed to provide full output for 6 hours following an AC power outage even when the external temperature is below freezing. Reverse Airflow (Front to Rear) 4.0 kVA UPS and Frequency Converter. Rugged Rack or Fixed Mount Unit w/ Reduced Depth and Multiple Battery Modules for Hours of Battery Backup between locations. Accepts both Aircraft Power and Commercial Power. 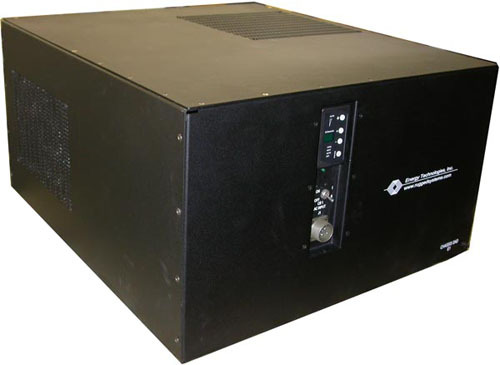 The field proven ETI 7200 Series of high-density, modular, N+1 hot swap power supplies provides the ultimate in versatility with an MTBF in excess of 1 million hours and field-upgradeable configurations from 200 watts to 7.2 kW. The heavy-duty chassis, occupying only 5.25 (3U), has rounded metal corners and rugged handles, aiding in safe handling. Internally, all major components are well secured and electrically insulated to prevent damage due to shock and vibration. Overall, the ETI 7200 Series is uniquely qualified for critical shipboard, vehicle, airborne or land based systems combining advanced modular design features with highly reliable construction. Energy Technologies offers a range of solar-energized power generators for your mobile power needs. ETI's mini portable solar power solution: our small, light-weight system. 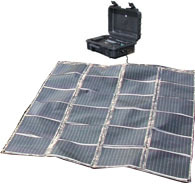 * 110-330 Watts Output Power from 2-6 Tactical Solar Panels which can store in the case. * Can charge Lead Acid, Li-Ion, NiCad, NiMH & other types of rechargeable batteries. • Additional deployable fuel tanks available to provide hours or days of run time. 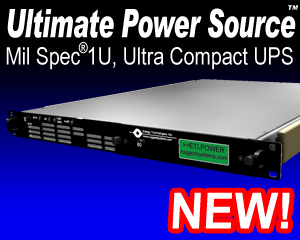 The field proven PowerStation UPS line is ideally suited for military, industrial and telecommunications applications requiring rugged rack or table mount and/or portable construction, high reliability, compact size and light weight design. 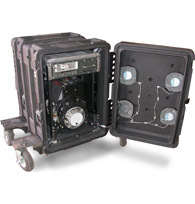 The heavy duty chassis occupies minimal space while delivering up to 3000 VA of clean, uninterruptible power. The rounded metal corners and rugged handles, both front and rear, aid in safe handling. The optional mounting kit includes flanges and legs for either horizontal or vertical positioning. Internally, all major components are well secured and electrically insulated to prevent damage due to shock and vibration. ETI's Line of Tactical Environmental Control Units (TECU) are available to meet your cooling needs. In a hostile environment, you don't want to hear "The system is overheated." Lives may be at stake, and you need your equipment to function! Fortunately, we have the solution : ET's new TECU (Tactical Environmental Control Unit) , a portable rugged air conditioning system will keep your vital electronics cool, hot, or humidity-free enough to function! Keep your systems cool and operational with ETI's TECU. 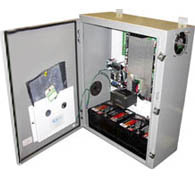 Please visit Energy Technologies' main site at: www.RuggedSystems.com for our full product assortment.